It is estimated that 50 million tonne of e-waste will be generated globally in 2018. Half of this is personal devices such as computers, screens, smartphones, tablets and TVs, with the remainder being larger household appliances and heating and cooling equipment. Out of this, only 20 per cent of global e-waste is recycled each year, which means that 40 million tonnes of e-waste is either placed in landfill, burned or illegally traded and treated in a sub-standard way. This is despite 66 per cent of the world’s population being covered by e-waste legislation. 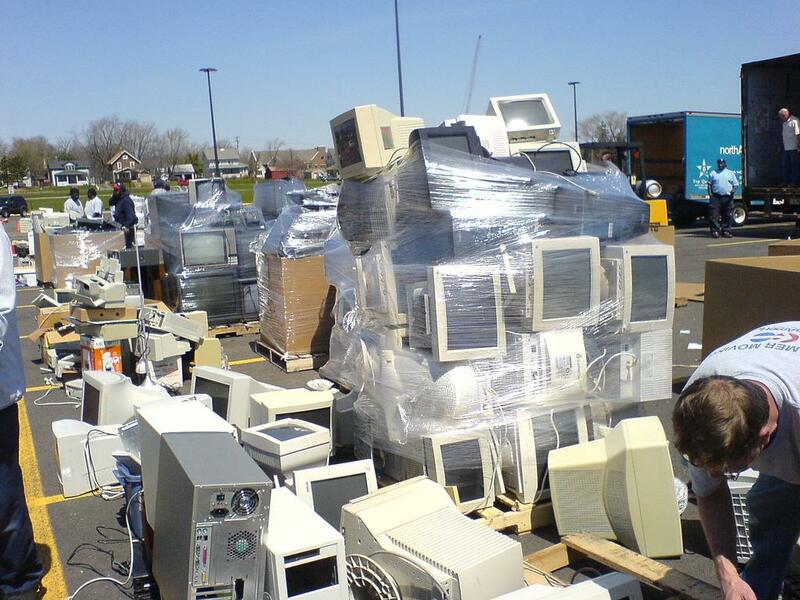 Many identify consumers as the key to better management of e-waste. This initiative aims to encourage consumers to correctly dispose their e-waste, with increased reuse and recycling rates and adopt sustainable consumer habits to move towards a circular economy. In India, the lack of an updated inventory of e-waste generated makes it difficult to quantify the e-waste recycled and disposed. According to the Central Pollution Control Board’s comprehensive inventory from 2005, India was to generate 0.8 million tonne of e-waste by 2010. However, a few independent studies suggest that the generation of e-waste could be much higher. The Global E-Waste Monitor, 2017 published by the United Nations University estimated that India generates about 2 million metric tonnes of e-waste (2016) annually. Nearly 82 per cent of this is personal devices. India is ranked 5th in the world among top e-waste producing countries-USA, China, Japan and Germany. “The large increase (in total e-waste generation of the world) was mainly attributed to India,” said the report. An ASSOCHAM-KPMG study, Electronic Waste Management in India identified computer equipment account for almost 70 per cent of e-waste, followed by telecommunication equipment-phones (12 per cent), electrical equipment (8 per cent) and medical equipment (7 per cent) with remaining from household e-waste. This increase in quantity of e-waste is because of increased consumption but also obsolescence. Users discard old computers, mobiles and other equipment much faster than before. According to a study in May 2017, the volume of waste is growing at an estimated 21 per cent annually. This report predicts that by 2020, e-waste from old computers in India will increase by 500 per cent; from discarded mobile phones will be about 18 times higher; from televisions will be 1.5 to 2 times higher; from discarded refrigerators will be double; than their respective 2007 levels. On 1 October 2016, the newly launched E-waste (Management) Rules 2016 replaced the existing E-waste (Management and Handling) Rules, 2011. The concept of Extended Producer Responsibility (EPR) mandated producers of electrical and electronic equipment to register and specified targets to collect back e-waste generated and to ensure that it is channelised to authorized recyclers. In March 2018, the E-waste (Management) Amended Rules reduced the target to 10 per cent for 2016-17 (as against 20 per cent), 20 per cent for 2017-18 (remains same). This target progressively goes up to 70 per cent in the seventh year. The penalty and punishment for non-compliance were the same as sections 15, 16 of the Environment (Protection) Act, 1986. The sections specify an imprisonment term that may extend to five years or a fine which may extend to Rs 1 lakh would be the penalty for non-compliance. EPR authorisation has been provided to 726 producers by the Central Pollution Control Board (CPCB) as on 12 October 2018. The authorisation, which is valid for a period of five years from the date of issue, specifies the collection targets for the specified time (five years). However, the CPCB website reports the target achieved or any penalty imposed for noncompliance.The random checking provision provided by the rules are not utilised for, in addition, no independent mechanism in place to check or verify the claims made in authorisations. The robust rules are flailed by slack implementation. The problem of e-waste has been spoken about in some levels, but not at a large enough scale to make a considerable impact, especially in the unorganised sector. E-waste if stored and not dismantled is not hazardous in nature. The problem lies in improper handling. Unfortunately, India is still ill-equipped in skilled labour to handle e-waste recycling. Only 1.5 per cent of e-waste generated in India gets recycled. Zero awareness about e-waste and its recycling, as well as the role of the unorganised sector are the added challenges to the problem.The base metals which can be reused are lost and results soil contamination due to unorganised and crude dismantling. A consumer of an electric or electronic device is not apprised of the end of value chain of the product. No information is provided along with the product packing about the e-collection centre for the product sold. The responsibility of the consumers is not specified along with the product. The deposit refund scheme (DRS) that aids the recycling of the product is not available in India. “Considering the India’s e-waste generation estimates and the lax of capacity with the urban local bodies, the future doesn’t look bright. The rules mandate an individual to drop the e-waste at an authorised collector, but do not provide any incentive against it. This forces e-waste to end up with informal sector and loses track on further recycling,” says Sonia Garga, Project Manager, Sahaas Zero Waste, a startup that converts waste into resources. Hi Dinesh, I would like your expert opinion on where I as a citizen can dispose off my home electronics (old laptops, cameras etc). I have been scouring the Internet to find a credible ewaste management company. The government has a list of the same, but last month the Hindu reported that most of the companies on that list don't comply; they don't recycle, only dismantle; they store in hazardous ways and are in direct violation of prescribed recycling rules. Me and my friends have many electronic junk just lying at home and we've been looking to get rid of it for a while. We found Ecoreco, which happens to have a disposal bin in our area. But we have no way knowing the credibility of Ecoreco. We would really appreciate your help. If not Ecoreco, which other e-management can we satisfactorily dispose off our waste to? Thanks. Disposal and recycling of electronic waste should be taken as a priority in order to preserve our environment and the next generation's health. Handing over this important yet ignored task to the unorganised sector is not going to help us in our mission. The government needs to have strict mandates to eliminate the urban plague of e-waste pollution (ref: https://www.rplanet.in/).